It becomes essential to look up to know how the users of your product have been using it to launch your service or product. Software development consists of a full span life cycle. It is better to opt for user testing at the prototyping stage. This way errors can be avoided in the development process. Now the question is which tool to use for your purpose. With so much proper usability testing and research tools available currently, it becomes challenging to opt for the best. 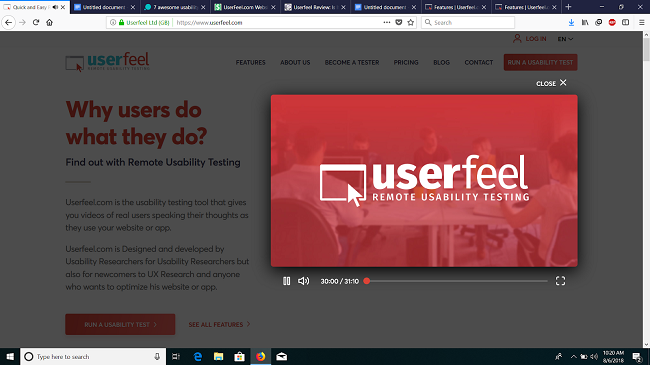 UserFeel is the best tool equipped with various usability testing tools to provide you with quick user feedback and help you in the development process. 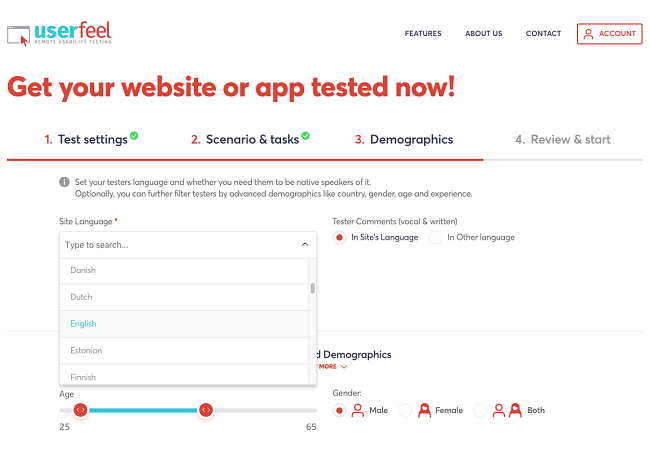 Userfeel is one of the best usability testing tools that shall provide you with real users testing and speaking out their opinions about your website or your app. Userfeel.com has been created and owned by Usability Researchers and targets audience comprising of not only researchers but also newcomers into the field dedicated to UX Research and those who wish to develop and optimize apps. Usability testing has two faces. 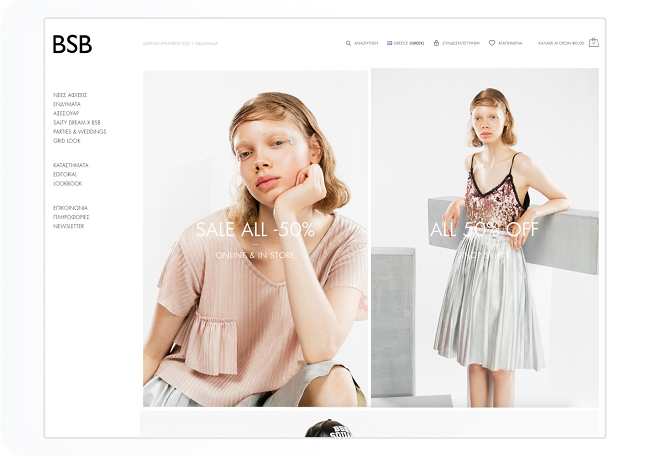 On one side, it provides an opportunity for individual website owners to gain positive and critical feedback on their websites. If you want help in deciding upon a specific design or feature, or concerned about how users navigate around on your site, you could opt for a plan on UserFeel. 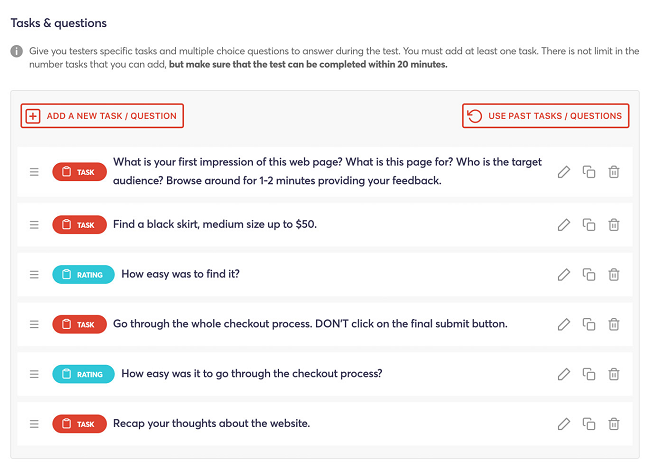 On the opposite side, some user-testers are willing to answer mini tasks for about 10-20 minutes for which they are paid via PayPal or other modes. In the user-tests, screen and voice capture is done and sometimes camera recording too, depending upon the requirement of the company. You can opt to test your website in any language of your choice. User feel has over 20,000 testers in its panel speaking about 40 different languages like English, Chinese, German, Hindi, etc. You may also opt for testers to suggest comments in your writing while they test your website in a language you won’t understand. You can get your test conducted on any device of your preference, be it desktops, mobiles or tablets or even smartwatches. The tests are done with its app and external cameras making it possible to test websites or apps on any device, Android or iPhone. 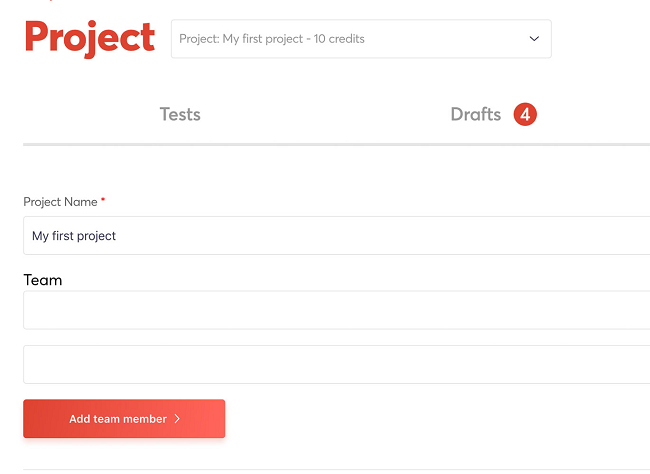 The tests can be conducted and organized in projects, in teams comprising of as many members you need for one project. Each team member shall contribute his/ her share on the video and comment on the issues found based on its type like bugs, general reviews, comments and errors in usage. The most helpful way to represent the results on the usability of the app or website to your team is highlighted in the videos speaking of the most faulty issues and the most critical ones. 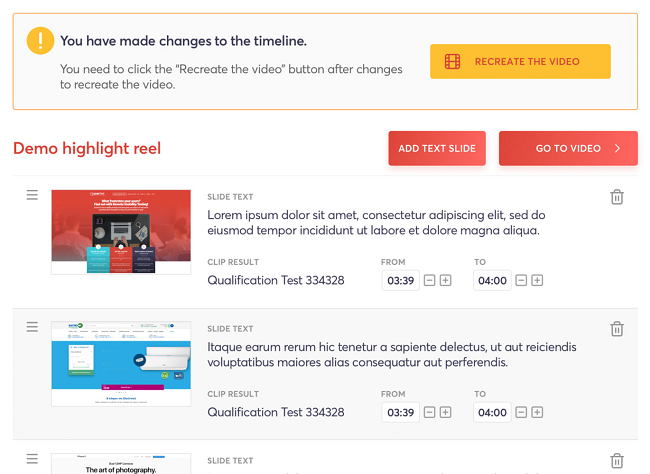 User feel shall provide you with detailed reviews in minutes rather than long videos in hours. You can have the video downloaded to your system or uploaded to your YouTube account as unlisted. Upload to YouTube is very easy and takes very less time to be completed. 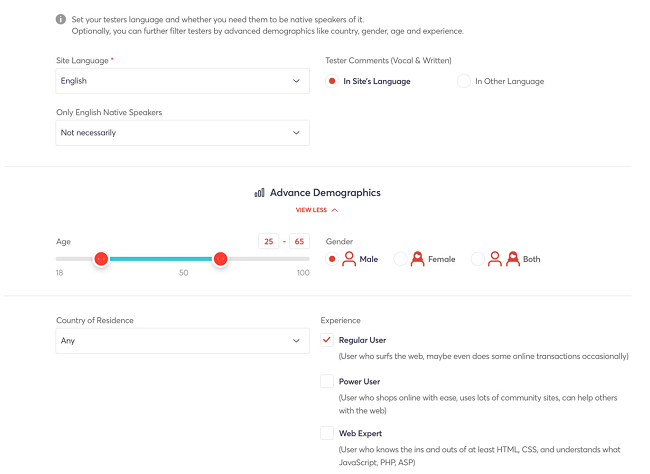 You have the choice to set filters upon your testers and read data only upon them by demographic criteria such as age group, country, native language, and gender. 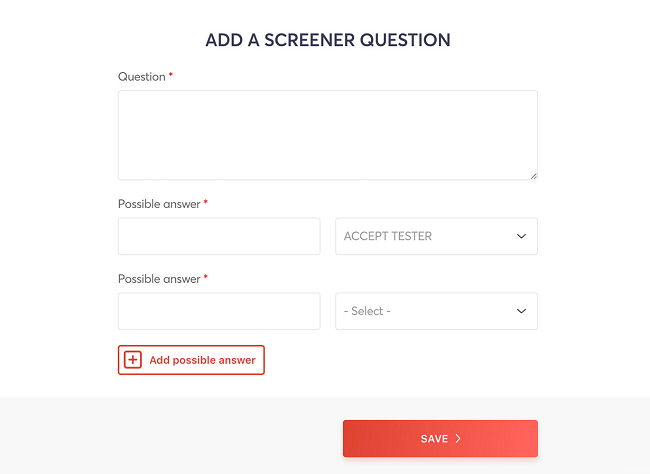 For a more detailed testing panel, you may add screening questions to set filter. For example, setting up a question asking the testers of their recently bought products and the company the product belonged to and allow to complete the test only if they have purchased products from your particular company and their user experience on the product. You can set your custom set of queries and functions in your preferred format. This way the testing process shall become more detailed, and you could get better insights. SUS is a number based scale on 0-100 that explains the usability of your website, generally calculated over a 10- set questions. UserFeel provides you with this metrics for every test using the average SUS on each test run on the user feel website. SUS is highly related to to the likability of the user and the user to recommend your test website or app. 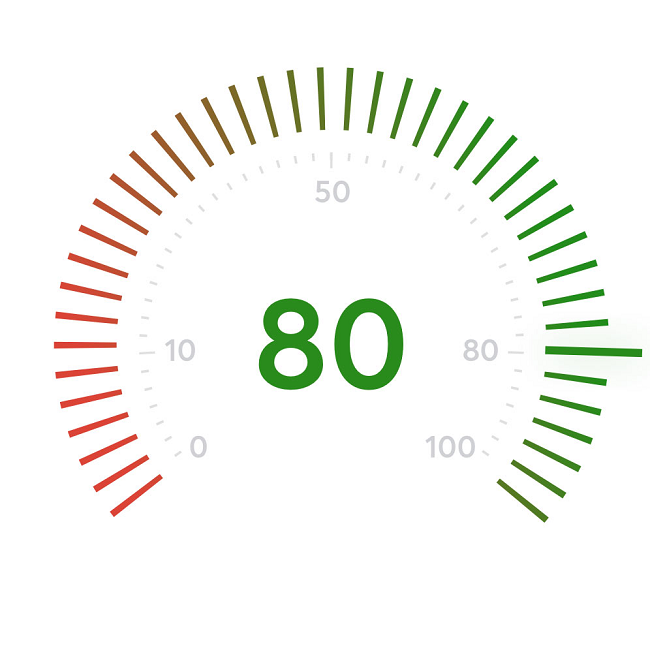 A score of 80+ on SUS indicates users liked the website tremendous and are sure enough to recommend it to their friends and family, while a score below 70 disregards the website as unlikely to use and possibly won’t use it over again. You can have a periodic count over the SUS for your website and quickly conduct test sessions on the points where user-based difficulty on the website. 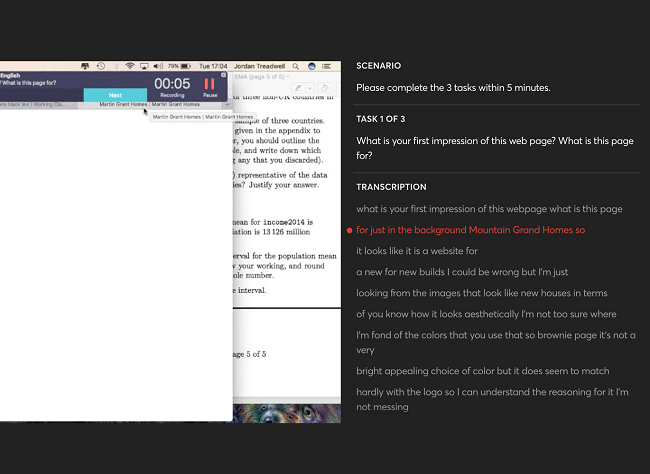 Userfeel.com has computerized voice transcription system for all languages and are very accurate based on Google Speech API. 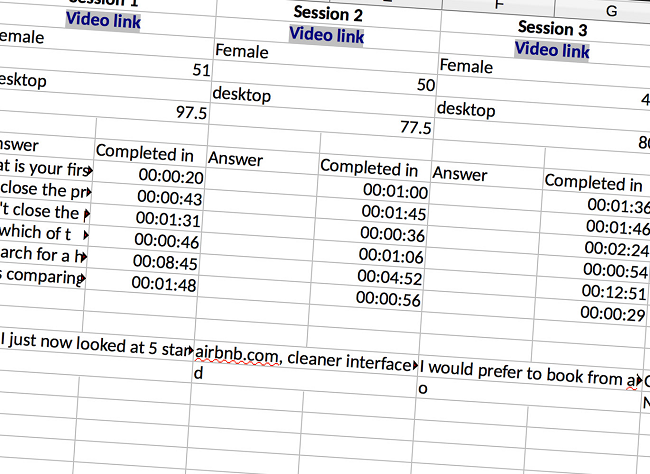 You can analyze the transcripts in detail and click on any sentence to jump straight to a particular point on the video. UserFeel has made it easier to export the results and create reports to be shared with your team in suitable formats. Metrics like System Usability Scale, time of tasks, average ratings and reviews, etc. are calculated easily. You can export the reports quickly to analyze them further for insights and solutions. Well, that is all about User feel in brief. For a better understanding of the usefulness of UserFeel for your purpose, you can give it a shot. And I would say you should. It’s the best legit user testing websites to use for your application or website. In case of any further assistance, feel free to comment your query below.